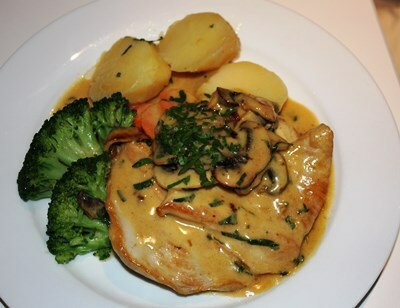 Deliverance is here and so are the excellent Gluten Free dinners in Mortlake – Wow wee!! I have to share this wonderful piece of news. I went back to Noi Due, the Lebanese and Italian restaurant in Mortlake, oh my God, it was such an amazing dining experience. 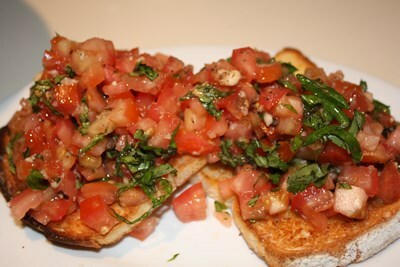 I started with the gluten free Bruschetta made with delicious Imperial Gluten Free Bakery bread. The fresh diced tomato was mixed with fresh basil and garlic, which all complimented each other and partied in my mouth. 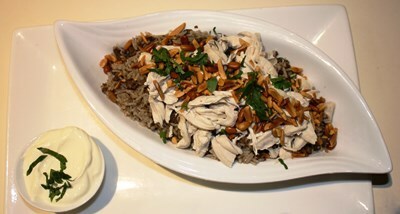 My husband ordered the Lebanese Chicken Rice dish with browned almonds and pine nuts, and wow, it was also a gluten free heavenly delight with the lamb and chicken succulent and seasoned to perfection. I didn't know they had so many gluten free meals on their menu. Happily married Michael and Rofaline (Roffy), the owners, are more than happy to oblige anybody and everybody. Roffy happily manipulates the menu to suit the irritable. She made me tabouli without the wheat and told me that she also made gluten free pasta dishes, but I was in the mood for pizza. If you have trouble choosing a pizza topping, Michael the main Pizza Man will happily make a half/half pizza. It has to be experienced to be believed. He made me a gluten free pizza, with the pizza bases bought from the Imperial Gluten Free Bakery, which I praise all of the time. The rocket pizza was without rocket. 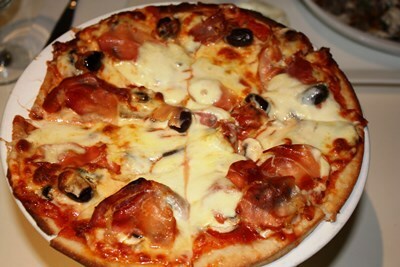 The prosciutto was deliciously placed on the cheese with olives and, for me, a tiny bit of chilli. Oh my, I was in my own little piggy heaven. Yes, piggy heaven. 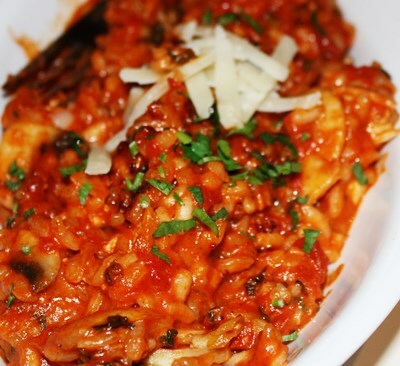 While waiting for my next delicacy, I saw some food being sent to other tables, the Chicken and Mushroom is gluten free and so are all of the risottos. I was dumbfounded, I will be here most Saturdays (my no cooking days). 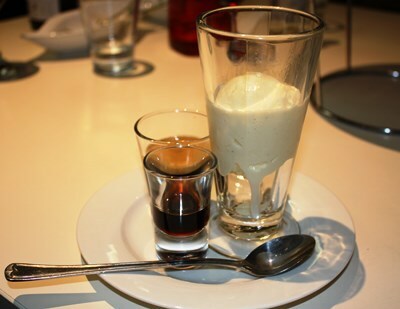 I had an Affogatto made with gluten free ice-cream and a fabulous coffee blend that just oozed down my throat and kept me awake to have dessert. I got to put it together myself. Please see pictures below. 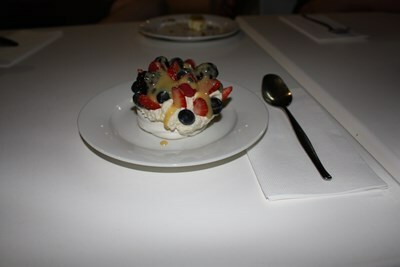 The dessert that sat on the specials board called out to me, it was just calling my name over and over again. 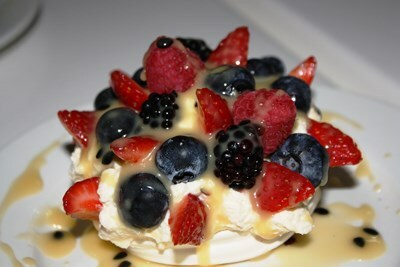 The delicious meringue was crisp with fresh berries that gave it enough acidity to compliment the mascarpone. It all sat so beautifully topped with the flavour of passionfruit butter, which was just an unbelievable boost to an already divine dessert. Oh, my, God. I couldn't stop eating, I wanted more and more. 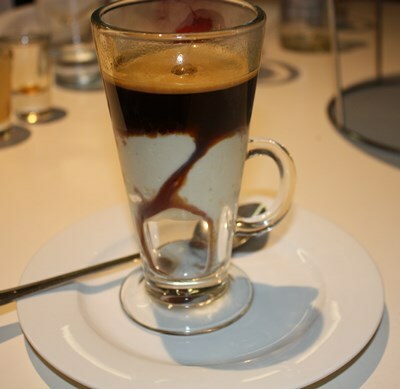 It didn't stop there……..no, I couldn't control my desire to eat beautifully made food. 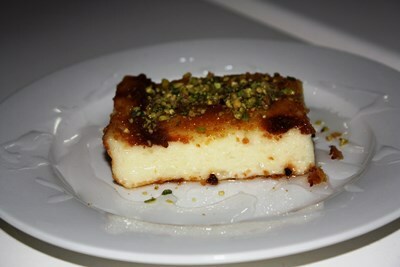 My husband ordered the Kanefe, a Lebanese sweet that happened to be gluten free. The Kanefe was like thick custard in texture, smooth, soft and flavoured with rose blossom syrup, topped with crushed pistachio nuts. I had to be rolled home but didn't mind. But folks, after all of this, all of the indulgence and mouth-watering home-style cooked food, I have to say – big drum roll please – they are going to make a gluten free chocolate Lava Cake! Yes, Lava Cake. Check it out, just call them first, or book your table online, bring your own alcohol and let them know you're gluten intolerant or a coeliac. 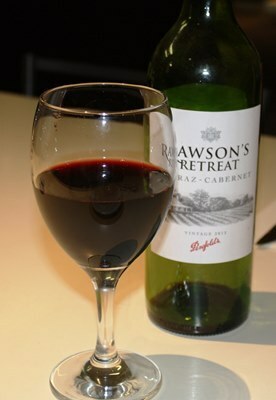 Damn I'm happy.